If you don't want to look for an answer below, please email us at info@oldnaplesassociation.com for assistance. Why is email so important for ONA's website? Our website requires each member to have and use an unique email, because that's how the database knows you. If you don't have an email in your profile, then you can't log in or use the members only sections of the website including members event registration. If you use a different email to register for a public event, the system treats you like a guest and creates a new nonmember profile for you. If you are the Bundle Administrator and your significant other (aka Bundle Member) doesn't yet have an email in their profile, then please enter their own email in their profile so that they can use the site as well. You need to set up your first password. Go to the password reset page here. Enter the email you want to use for your ONA account, fill in the code and submit. You will receive an email shortly, and can click on the link to enter your first password. You can log in thereafter on the home page with your email and password. I click the "Forgot password" link, enter my email, and it says "Email not found". You may be using a different email address than we have on record for you. Try your other email addresses. If that doesn't work, please contact us at info@oldnaplesassociation.com and we will change your email to whatever you would like. How can I update my profile? How can I change my email? Once you have logged in, select "View profile" in the upper right hand part of the page. On your profile page, click on the edit button and you can change your email, address and preferences. If you change your email, you will have to reset your password. See FAQ#3 above on how to do this. How can I purchase an RCC Card? Log in, then from the home page select the Membership / Purchase RCC Card from the drop down menu. On the RCC Card page, select one or two cards from the selection box on the right, and click the yellow "Buy Now" button.This takes you to the PayPal site, where you can log in with your account, or use your credit card towards the bottom by clicking on the “Pay with Debit or Credit Card” button. That’s it! Then we mail you your card(s)..
You must be the Bundle Administrator to renew your or your family's membership. --> Then select "View profile" in the upper right corner of the home page. --> On the next page, below the first block of information in your profile is a button "Renew to [date]". --> Click this button and update your information as needed. --> Now click the button "Update and next" near the top of the page under the blue rectangle. --> On the Review and Confirm page check your information; click "Pay online". --> This will take you to PayPal; either enter credit card information or use your own PayPal account. Important: If you don't complete a PayPal transaction, you haven't renewed. What's this Bundle Administrator stuff? A "bundle" is what our software system calls a family. Go figure. It allows ONA to have two members on the same membership account, with each member having a separate email and profile. The Bundle Administrator is in charge of the account and is the only member who can renew membership. The Bundle Member is the significant other who has full access to the site - profile updates, member only content, event registration, purchase RCC cards, setting of email preferences - except for renewal. I am the Bundle Administrator. How do I update my Bundle Member's profile / email? To update your Bundle Member's profile, including adding or changing their email, log in to www.oldnaplesassociation.com, select "View Profile" next to your name, go doown the page one section to "Bundle Ssummary" and click on your Bundle Member's name. On his/her page, select "Edit Profile" in the upper lefthand corner and enter or update the necessary information such as an email address. Should I make sure that my Bundle Member has their own unique email in his/her profile? Yes! This allows your Bundle Member to log in to the site, update their own profile and use the "member only" parts of the site such as purchasing RCC Cards and registering for "member only" events. This email has to be different from yours. Our membership software knows you by your email, and without an email you don't exist. See the above item about updating a Bundle Member's profile / email. How do I register my Bundle Member for member-only events? For member-only events, each Member has to register using a unique email address, because that's how our member system knows you. If they have an email address in their member profile already, they (or you) can log in and register them. If they do not have an email address in the system yet, see above item about updating a Bundle Member's profile / email. Yes, although we prefer that you pay online with a credit card due to the high cast of handling them. Please use our PayPal option to pay either by your credit card or personal PayPal account. ONA does not keep any credit card information. Why do you request an alternate address ? The most important reason is to allow you to indicate a non-Naples address for mailing you RCC Cards. 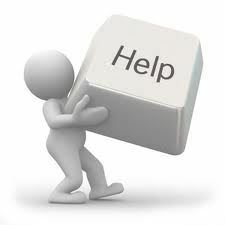 The second is to make sure we can reach you if email or local mail fails. My problem isn't listed here and I need help. Please contact us at info@oldnaplesassociation.com. We will get back to you as soon as possible.